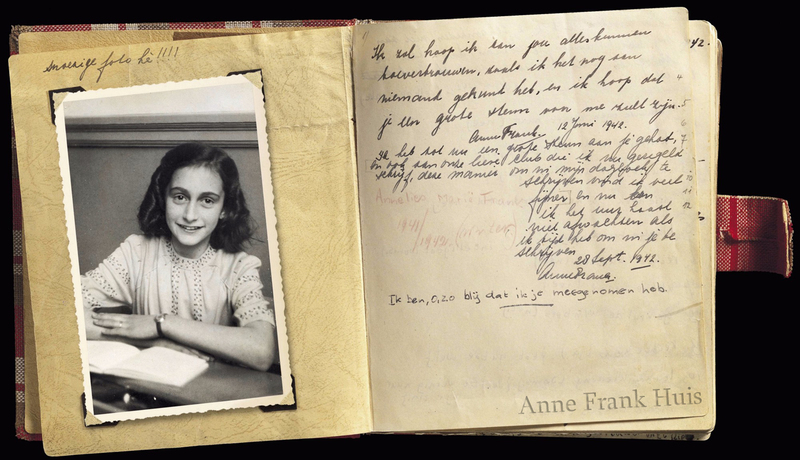 Anne Frank wrote those words in her diary 76 years before, to the day, we visited. It hit home with us since we've been riding the trams all over the city. Though the weather this year isn't "sweltering." So far the high has been 70 degrees and we've been wearing long pants and sweaters. My mom got us tickets for the museum as well as a pre-visit presentation. 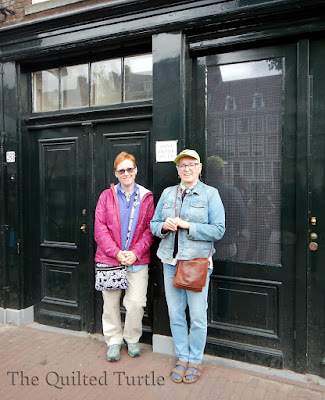 The 30 minute presentation was well worth our time and taught us about the Frank family, their immigration to the Netherlands, as well as what happened to them after they were taken by the Gestapo. 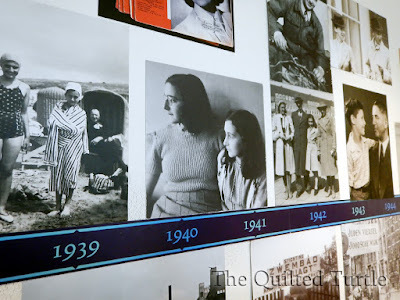 Visiting the Ann Frank House was an experience I will not soon forget. 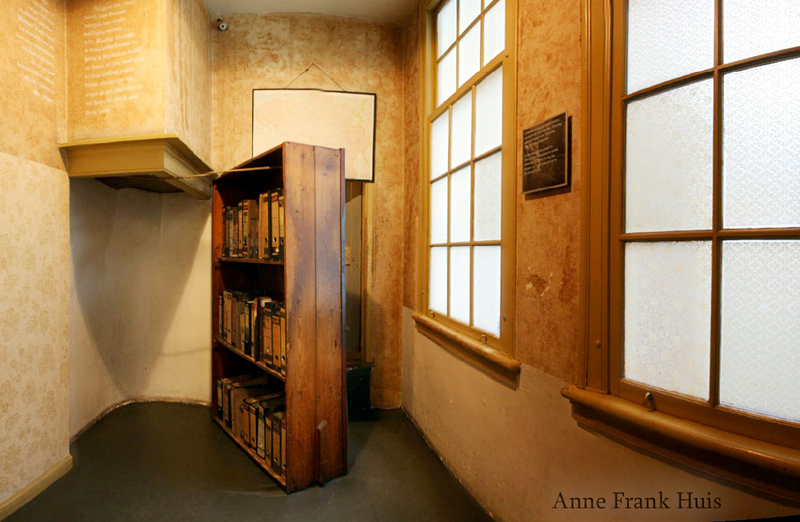 As we passed the bookcase and entered the secret annex, I was overwhelmed with emotion. Despite the crowds, everyone was somber in this special place. It was one of the parts of the diary I clearly remember; I was once a teenage girl who taped pictures to my wall. Although my pictures were all of Harrison Ford, I remember feeling a connection to her as I read her words in high school. To see the pictures she herself glued up on that wall, it was almost haunting. 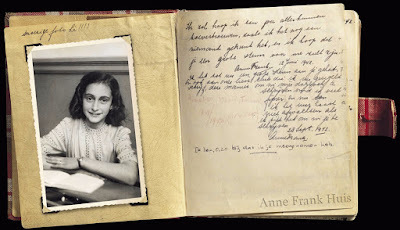 I can't really explain it, other than to say touring the Anne Frank Huis and seeing her original diaries touched my soul in a way few things have. All four of us read (or reread) Anne's diary before we came and we were glad we did. It made our visit much more meaningful. 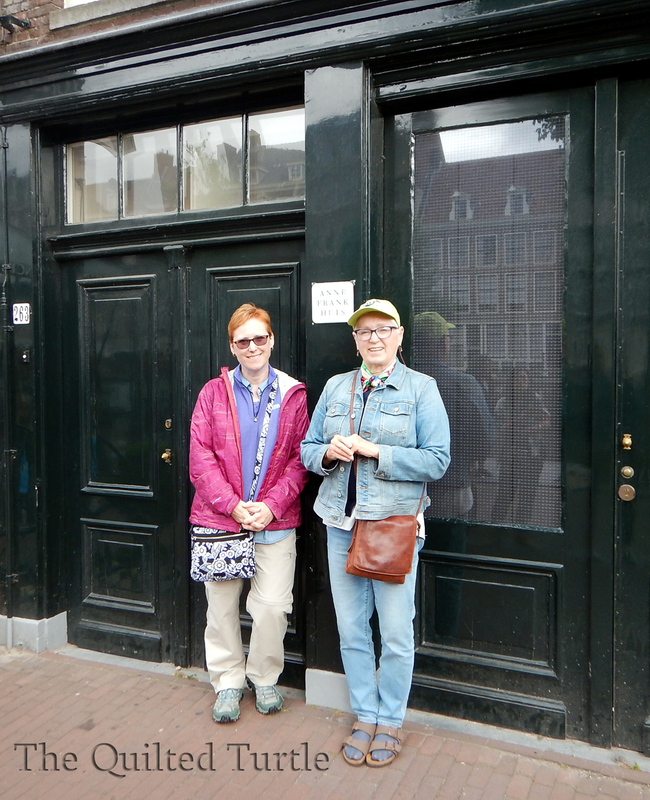 If you come to Amsterdam, put the Anne Frank Huis on your list - now. Tickets are only available on-line, and they sell out quickly; they go on sale two months prior to a visit, so it is a good idea to book as early as possible. The rest is painless - you arrive just a few minutes before your ticket time, get in line, and then head inside. Be sure to put a couple pieces of Kleenex in your pocket. I was glad I did. No photography is allowed in the museum (other than in inside the pre-visit program room.) All the photos above, from within the museum, are the property of Anne Frank Huis. What a stirring experience. Thank you for sharing it with us.